There will always be something about Red Roses and Tradition. 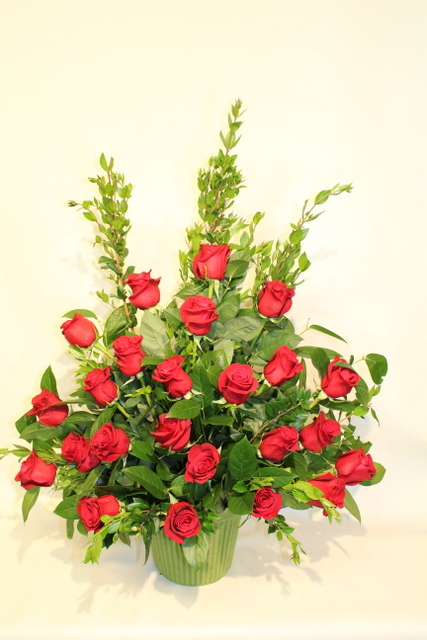 We have created this beautiful Red rose arrangement for the beautiful memories our loved ones have shared. This arrangement will always warm a heart during a time of sorrow. Write card message in box.